Dozens of parents have joined multiple lawsuits against a now-defunct dental chain, stemming from a bacterial outbreak traced to a polluted water system in its Anaheim office that sickened dozens of children. There are now 113 plaintiffs in a series of lawsuits against the Children’s Dental Group, the most recent of which was filed Wednesday, said attorney Dan Hodes. “We expect it to grow to about 150,” Hodes said. All of the cases are being consolidated and will go to trial before the same Orange County Superior Court judge. In 2016, a bacterial outbreak in the Anaheim office at 2156 E. Lincoln Ave. sickened dozens of children ranging in age from 2 to 11. Orange County Healthcare Agency officials concluded the bacteria came from the dental office’s water system, so they forced the clinic to install new plumbing. As of July 2017, the agency reported there were 73 cases claimed with 22 confirmed and 51 probable. Seventy-two of the patients required hospitalization. “The problem is CDG also did not properly disinfect water lines, so their water was contaminated with a deadly mycobacterium,” Hodes said. 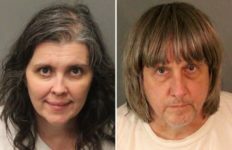 The children infected “suffered life-altering injuries,” Hodes said. Some lost portions of their jaw and adult teeth, and some suffered hearing loss, “which is not uncommon as a reaction to the antibiotics that were used,” Hodes said. The Children’s Dental Group, which operated nine offices in Southern and Northern California, “no longer exists because of this,” Hodes said. Children’s Dental Group was sold to another chain, and the Anaheim office was sold to a separate dental company, he said. A series of bellwether lawsuits are expected to begin to go to trial in January 2020.